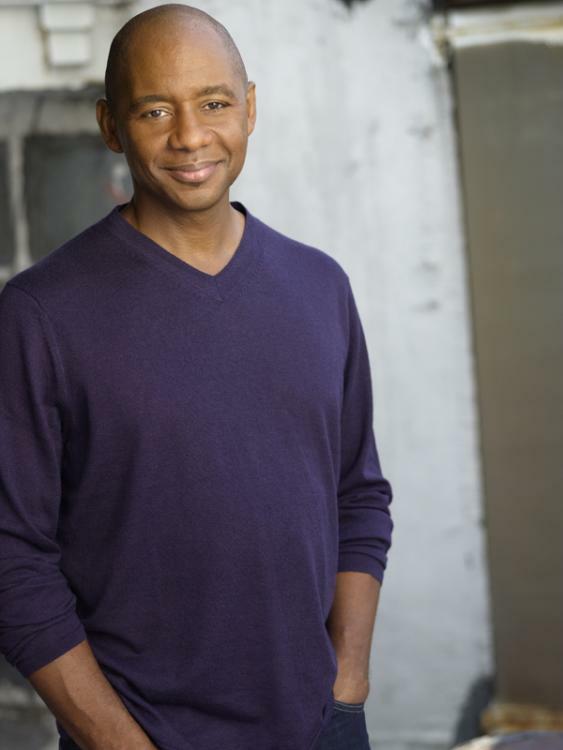 Saturday’s Branford Marsalis concert at the Gem Theater was a night of new beginnings. The show kicked off the 2010-2011 season of Jammin’ at the Gem and featured new bass player Robert Hurst – this was only his second gig with the quartet in as many nights. It even opened with a new song. That number, tentatively titled “Joey’s Tune” after its composer, pianist Joey Calderazzo, was a bit of an outlier. Admittedly a work in progress, the arrangement was busy to the point of claustrophobia. When Marsalis stepped back, Calderazzo and drummer Justin Faulkner flooded the room so completely one wondered if Marsalis would be able to wedge his way back in the song. Fortunately, the rest of the two-hour set fared better. Alternating between soprano and tenor saxophones, Marsalis guided the band through breakneck changes and lumbering mood pieces. Some of his solos displayed the pop sensibilities that made him the go-to hornsmith for Sting and Bruce Hornsby, yet his playing was always challenging, never resting too lightly on the ears. If the set had one blemish it was that Marsalis seemed too content to introduce a number with a solo, then step away for the rest of the number to let his trio play. Aside from being the best player onstage, Marsalis’ horn was the catalyst that helped the rest of the sounds to coalesce. “The Blossom of Parting,” a track from Marsalis’ 2009 album “Metamorphosen” was the high point of night. The song opened softly with Marsalis on soprano sax, and Faulkner switching between brushes and mallets to build new textures. Calderazzo’s mesmerizing solo blurred the lines between jazz and classical music, and showed more than a hint of Brad Mehldau’s plaintive style. When the band re-entered, Marsalis gradually built the song’s intensity. Before the song could climax, however, an over-exuberant Faulkner accidentally knocked his ride cymbal to the floor. It wasn’t the ending Marsalis hoped for, but the audience took in stride and responded with a standing ovation. Faulkner had no problem filling the drum stool occupied by Marsalis’ longtime beatman Jeff “Tain” Watts. On a cover of Thelonious Monk’s “Teo,” Faulkner traded bars with Marsalis with a maturity that outpaced his age of 19 and an energy that underlined it. His solo during a later song recalled another drummer of Marsalis’ acquaintance, Art Blakey. Hurst also handled himself well, despite sight-reading all of the material. His lengthy solo would have worked better tied to a song than as a stand-alone piece. Aside from that moment, Hurst drew little attention to himself – a positive attribute for now in these new surroundings. The evening ended with an encore of “St. Louis Blues” that found Marsalis showing off his New Orleans roots and reeling off some Satchmo-like trumpet licks on his saxophone. Continuing The Daily Record’s look at the state of jazz today, here is the final of three installments shedding light on 15 jazz greats to emerge in the last 20 years. Note that these musicians are not necessarily the 15 greatest jazz artists to arrive since 1990. A brief listen to any of them, though, should more than persuade the most ardent purist that jazz is alive and well. Bass player Christian McBride was mentored and hailed by no less an authority than Ray Brown before starting off on his own. McBride works comfortably in the traditional vein on his early albums like “Fingerpainting,” the excellent tribute to Herbie Hancock performed in a bass/guitar/trumpet setting. He gets more funky and touches on fusion with his three-disc live set recorded at Tonic and studio albums “Sci-Fi” and “Vertical Vision.” In 2003, McBride collaborated with hip hop drummer Ahmir “?uestlove” Thompson of the Roots and keyboardist Uri Caine for a spectacular collaboration known as the Philadelphia Experiment. McBride has also worked extensively with Sting and Pat Metheny. Albums to start with: Fingerpainting, The Philadelphia Experiment. Expectations have been high for Joshua Redman since winning the Thelonious Monk International Jazz Saxophone Competition in 1991. While Redman hasn’t fulfilled those unrealistic expectations by taking his instrument to the heights achieved by Sonny Rollins and John Coltrane, he has built a strong career on his own terms. Redman’s early quintets helped launch the careers of Christian McBride and Brad Mehldau and his work as musical director of the San Francisco Jazz Collective paired him with legends like Bobby Hutcherson and new artists like Miguel Zenon. Redman’s catalog is adventurous enough to include covers of Eric Clapton’s “Tears in Heaven” with guitarist Pat Metheny and funky experiments that recall Eddie Harris. Albums to start with: Spirit of the Moment, Back East. Jazz tap may have died with the golden age of big-budget Hollywood musicals, but Savion Glover is trying his best to bring it back. He has appeared in televised concerts with Wynton Marsalis’ Jazz at the Lincoln Center Orchestra, collaborated with poet Reg E. Gaines and saxophone player Matana Roberts for the John Coltrane-inspired improve “If Trane Was Here,” appeared in Spike Lee’s “Bamboozled” and was a cast member of “Sesame Street.” Glover hasn’t recorded any albums, but his live performances are a potent reminder that jazz isn’t the exclusive province of those with a horn or a voice. Combining rock and jazz is nothing new, but the piano/drums/bass trio Bad Plus have done it in an acoustic setting that resembles Medeski, Martin and Wood more than Weather Report. Their early albums were filled with original material that split the difference between Oscar Peterson and Ben Folds, tempered by occasional arrangements of Pixies and Black Sabbath classics. Unfortunately, recent releases have steered sharply away from new compositions and saturated the increasing covers with more irony. While the concept of their newest album – all covers with a female vocalist – makes one wary, their early material should not be overlooked. Albums to start with: Give, Suspicious Activity. Continuing The Daily Record’s look at the state of jazz today, here is the first of three installments shedding light on 15 jazz greats to emerge in the last 20 years. Note that these musicians are not necessarily the 15 greatest jazz artists to arrive since 1990. A brief listen to any of them, though, should more than persuade the most ardent purist that jazz is alive and well. Over the past 20 years, Roy Hargrove’s trumpet has proven to be one of the most versatile instruments ever. He’s equally at home conjuring Cuba on his own or summoning the spirit of African rebellion with rapper Common. Although Hargrove has yet found a way to reconcile his split personalities, he has built a strong catalog. In the Roy Hargrove Quintet, Hargrove works the more traditional mold forged by Freddie Hubbard and Clifford Brown. The RH Factor is the less-focused urban playground where Hargrove’s funky side comes out. Albums to start with: Habana, Earfood. Pianist Brad Mehldau cut his teeth working with saxophonists Joshua Redman and Wayne Shorter before striking out on his own. His lengthy concert arrangements often leave no stone unturned. Although his classical approach to playing is influenced by Bill Evans, Mehldau has no problem converting songs by Radiohead, the Beatles and Nick Drake into extended jazz workouts and placing them on footing equal to George Gershwin and Cole Porter standards. Mehldau made albums with opera singer Renee Fleming, guitarist Pat Metheny and pop producer Jon Brion without pandering on any project. Albums to start with: Back at the Vanguard, Day is Done. Singer Madeleine Peyroux’s voice sounds more than a little like Billie Holiday, but her style is closer to Joni Mitchell’s. Born in the South, raised in New York and California and seasoned in Paris, Peyroux splits the distance between jazz, folk and pop. Her interpretations of Leonard Cohen, Bob Dylan and Hank Williams numbers made her a star on Lilith Fair stages a decade ago and earned her acclaim as the “Best International Jazz Artist” by the BBC in 2007. Albums to start with: Dreamland, Half the Perfect World. Puerto Rican saxophonist Miguel Zenon recalls the tasteful, silky tone of Paul Desmond. In little more than five years, he’s released four albums, worked as a founding member of the SF Jazz Collective, won the Best New Artist award from JazzTimes in 2006 and named Rising Star-Alto Saxophone for three consecutive years in the Down Beat Critic’s Poll. While Zenon’s horn rests easily on the ears, his arrangements capture the spirit of his native island through insistent originals and unlikely hymns like “Great is Thy Faithfulness.” Albums to start with: Jibaro, Awake. Maria Schneider’s compositions for her jazz orchestra have been some of the most ambitious works in the jazz canon since the heyday of the Duke Ellington Orchestra or Dave Brubeck’s late-’60s expositions. At once sweeping and evocative, Schnieder’s near-classical pieces reveal the deep influence of Gil Evans. The cinematic expanse of her work takes the listener on a journey where everyone from George Gershwin to Gustav Mahler is likely to appear. Albums to start with: Evanescence, Sky Blue.